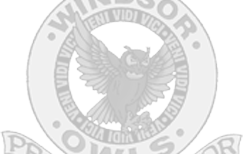 This is a list of File Formats you may see throughout the Windsor C-1 School District website and all of its individual school sites. The Adobe PDF format requires the free Adobe Reader download available from adobe.com. The Microsoft Word format is for users with Microsoft Office or the free Word Viewer installed on their computers. The Microsoft Excel format is for users with Microsoft Office or the free Excel Viewer installed on their computers. The Microsoft PowerPoint format is for users with Microsoft Office or the free PowerPoint Viewer installed on their computers.